"There's a huge gas field named Than Shwe after the general who had long ruled Burma," Mosyakov said. "Additionally, the coastal zone of Arakan [Rakhine] almost certainly contains oil hydrocarbons." After the massive Rakhine energy reserves were discovered in 2004 they attracted China's attention. By 2013 China completed oil and natural gas pipelines, which connect Myanmar's port of Kyaukphyu with the Chinese city of Kunming in Yunnan province. The oil pipeline allows Beijing to deliver Middle Eastern and African crude bypassing the Malacca Straits, while the gas pipeline is transporting hydrocarbons from Myanmar's offshore fields to China. According to Dmitry Egorchenkov, deputy director of the Institute for Strategic Studies and Prognosis at the Peoples' Friendship University of Russia, it is hardly a coincidence. Although there are certain internal causes behind the Rohingya crisis, it could also be fueled by external players, most notably, the United States. Myanmar's destabilization may affect China's energy projects and create a pocket of instability at Beijing's doorstep. Given the ongoing crisis between the US and North Korea, another Chinese neighbor, Beijing may soon find itself caught in the crossfires. 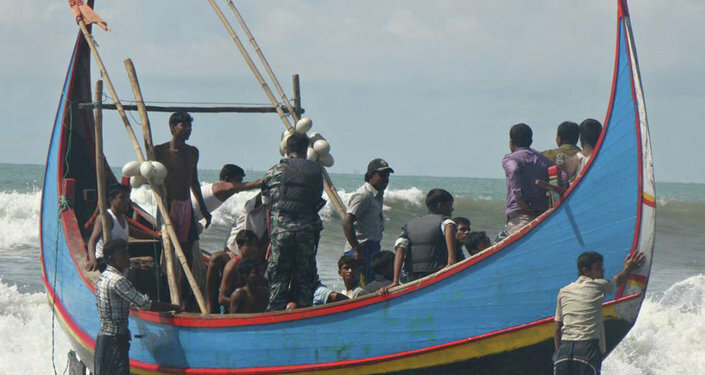 Meanwhile, the Burma Task Force, which comprises a number of organizations funded by George Soros, has been actively operating in Myanmar since 2013 calling upon the international community to stop what they call "the genocide of the Rohingya Muslim minority group." However, Soros's interference in Myanmar's domestic affairs goes deeper into the country's history. 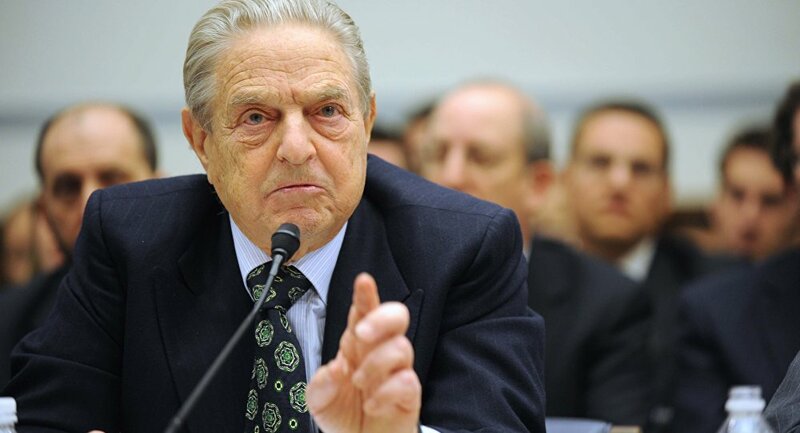 In 2003, George Soros joined a US Task Force group aimed at increasing "US cooperation with other countries to bring about a long overdue political, economic and social transformation in Burma [Myanmar]." The Council of Foreign Relation's (CFR) 2003 document entitled "Burma: Time For Change," which announced the establishment of the group insisted that "democracy… cannot survive in Burma without the help of the United States and the international community." "When George Soros comes to this or that country… he looks for religious, ethnic or social contradictions, chooses the model of action for one of these options or their combination and tries to 'warm they up,'" Egorchenkov explained, speaking with RT. The recent Rohingya crisis started on August 25 when Muslim insurgents of Rohingya origin attacked security posts in Myanmar's Rakhine state. The tough response of the country's authorities triggered violent clashes, which claimed the lives of at least 402 people. However, according to some estimates, up to 3,000 Muslims were killed during the recent conflict. The conflict that started about a century ago has gradually escalated since 2011, hitting its peak in 2012 when thousands of Muslim families sought asylum in the special refugee camps on the country's territory or fled to Bangladesh. Yet another escalation started in 2016.